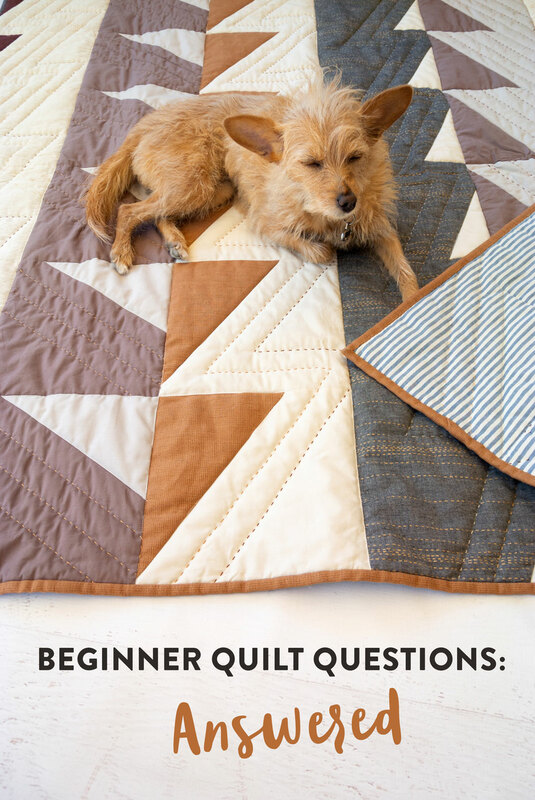 And we’re back with more basic beginner quilting questions straight from my inbox to your computer screens. 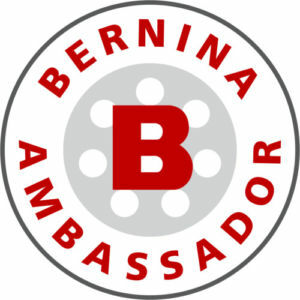 If you missed our previous installment of questions and answers, you can check it out here. 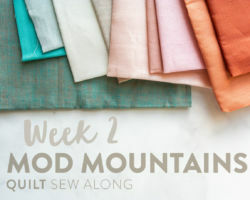 (We cover lots of good stuff like pinning, matching seams, squaring up a quilt and...well, you'll just have to go read it. Ready to dive in again? Scrap is ready. Let's go! 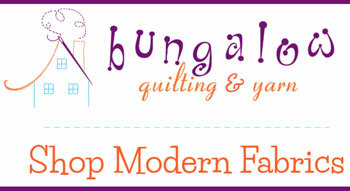 More Basic Beginner Quilting Questions Answered! Q: My quilt is too puffy. A: Well, let me first point out that that’s not a question, but yes, I get what you’re “asking.” If your quilt’s too puffy you’ve got a batting problem. "Problem" is too harsh of a word. Let’s call it a disagreement. You and your batting are fighting because you’re not a good fit. It’s time to break up. Puffy battings are, in many cases, called “Puff" batting. Don’t buy that if you don’t want a puffy quilt. 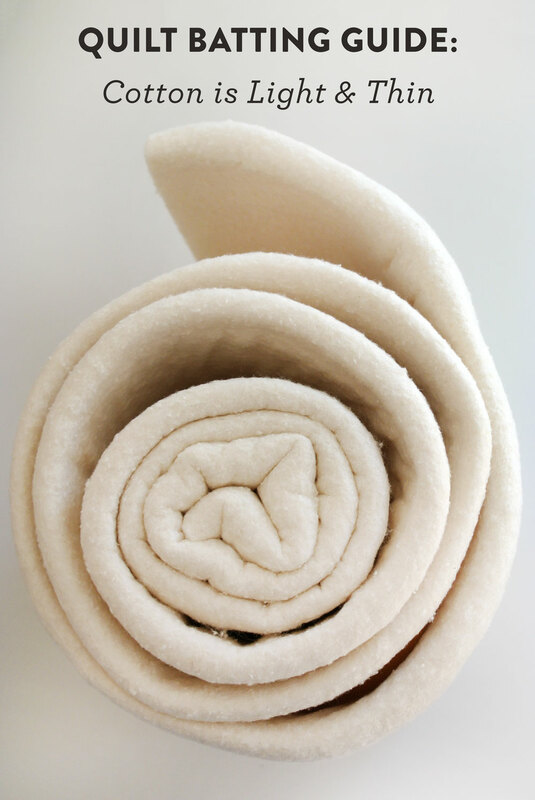 Batting that is labeled Puff is usually made from synthetic fibers. A nice flat option for you would be a bamboo blend, cotton, or a cotton/poly blend. Read more about specific types and brands of batting here – How to Choose the Right Quilt Batting. Q: I want my quilt puffier. A: Again, not a question, but I catch your drift. Want a puffier quilt? Use a puffier batting. See puffy batting examples in the answer above. 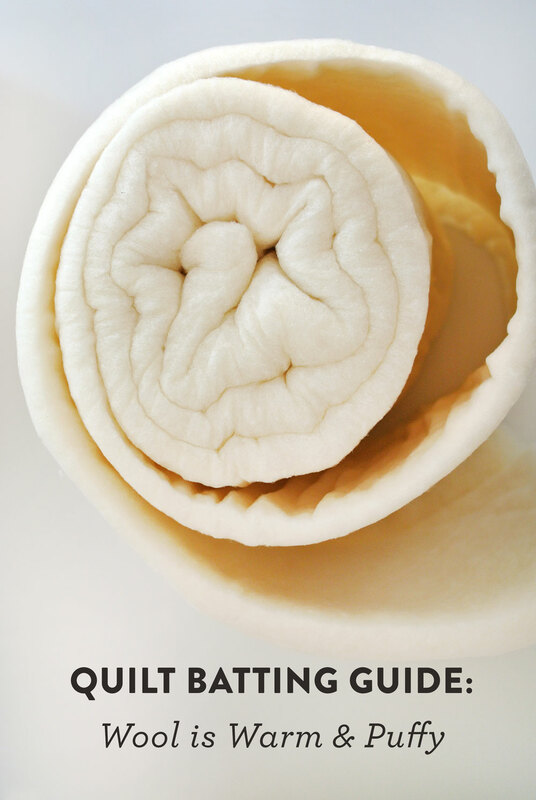 Another tip to get that sweet sweet puff is to loosen up on the machine quilting. The more densely you quilt your quilts, the flatter they will be. Above is the Bayside quilt pattern. Get it here! Q: I ordered the same fabric on two different occasions and I swear they aren’t the exact same color. What’s happening? Will people notice if I use them in the same quilt? A: To answer the first part of that question, yes, unfortunately this does happen sometimes. I find it to be the most noticeable with solid fabrics that are dyed and have no printed pattern. Sometimes the same fabric is slightly different in color or hue if it is cut from different bolts. This discoloration is caused because of a couple reasons. One is that the fabric could have been soaked in different dye baths that were just a fraction off from each other. Another reason is if the fabric bolts were stored differently – a bolt sitting in the sun on display will be slightly faded compared to the bolt tucked away in a dark storage closet. Above is the Fly Away quilt pattern. Get it here! Will people notice if you use them in the same quilt, you ask? I highly doubt it. The only way someone would notice is if you shoved the quilt in their face and said, “SEE?? LOOK AT THAT DISCOLORATION!” Then they probably will notice and also probably not invite you back over to visit. 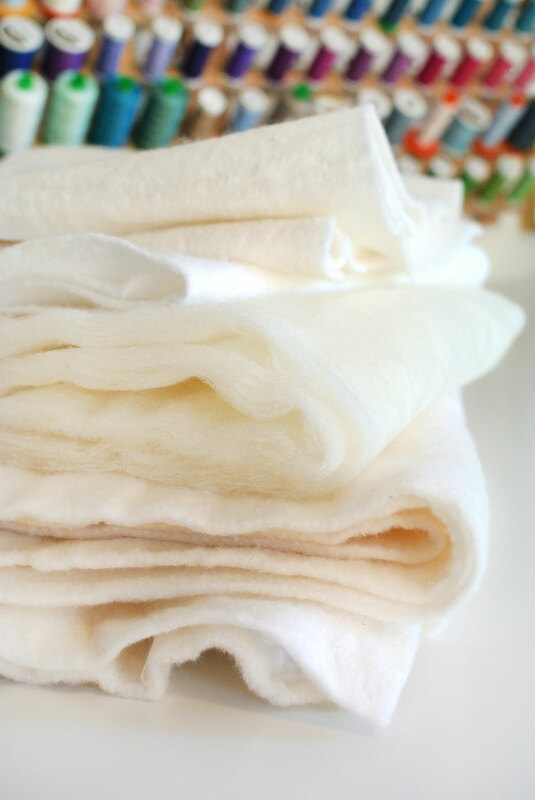 Also keep in mind that once you wash the fabrics, all of them will fade slightly. I actually think a slight change in color or hue only spices things up and adds dimension. 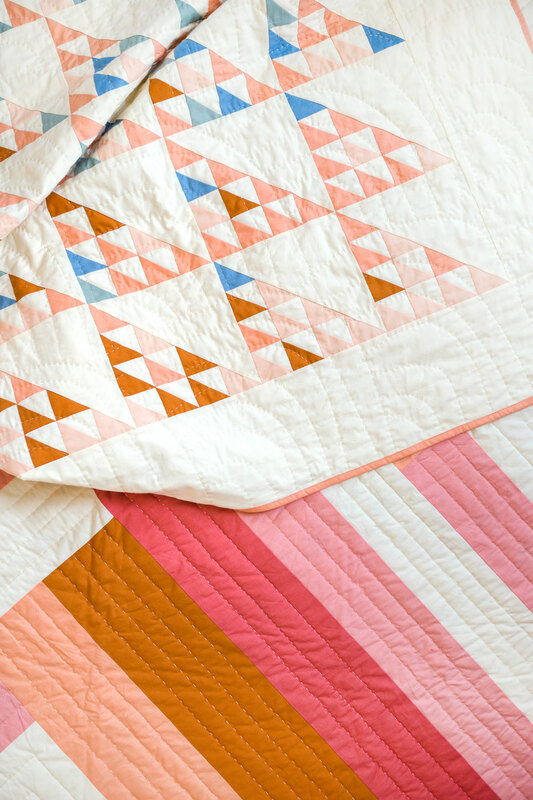 So give yourself a pat on the back for making such a unique quilt with such beautiful variations in color. Q: How do I get pencil markings out of a quilt? A: Oh my darling. My sweet, dearest, honeybun. Why were you using a pencil on your quilt? Haven’t you learned from my mistakes and seen for yourself that pencil lines usually don’t come out? I have a whole blog post written just for you so you never have to worry about lead pencils again. This post also includes photo proof that I had to learn this lesson the hard way. Dearest darling, please read this post on Quilt Marking Tools and then swear to me that you will return that lead pencil to the school backpack from whence you found it. However, if the pencil marking is on the right side of the fabric, there may still be hope. Grab your favorite stain remover (I like OxiClean, but whatever you like works), use cold water, and gently rub, rinse, and repeat until you either get tired of trying or the pencil is gone. Then report back here and let me know how things went. Good luck! 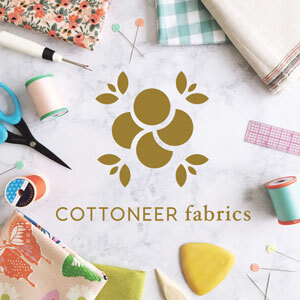 Q: I want to make a T-shirt quilt, but don’t know where to start. Can you help? 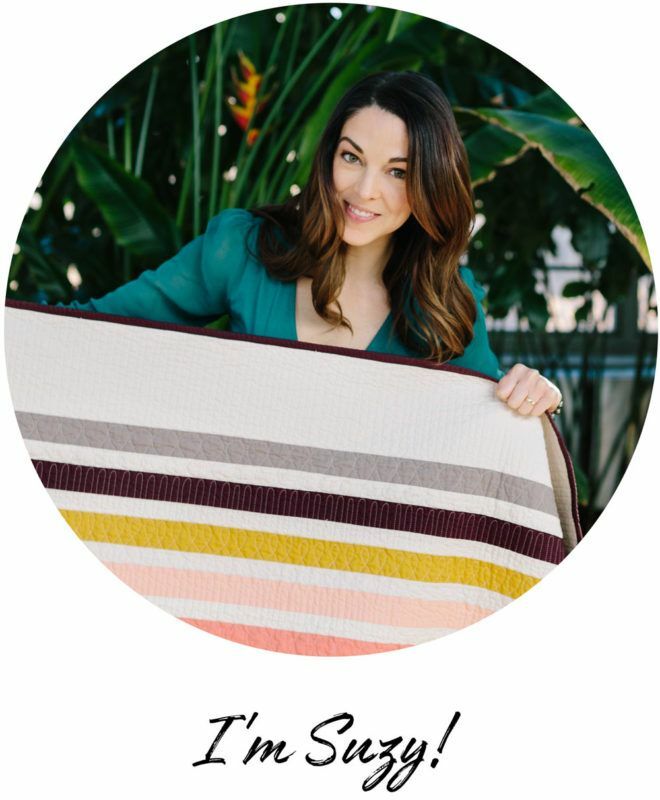 A: I actually receive this question so frequently that I finally wrote a blog post all about the infamous T-shirt quilt and how to make it. Read more – Make a Memory Quilt. 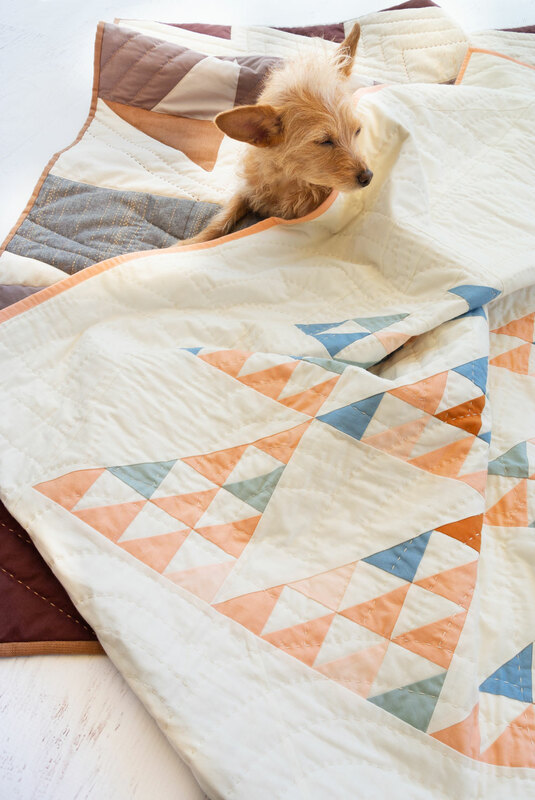 Q: How do I resize a quilt to make it larger? A: I used to get this question a lot about SQ patterns. 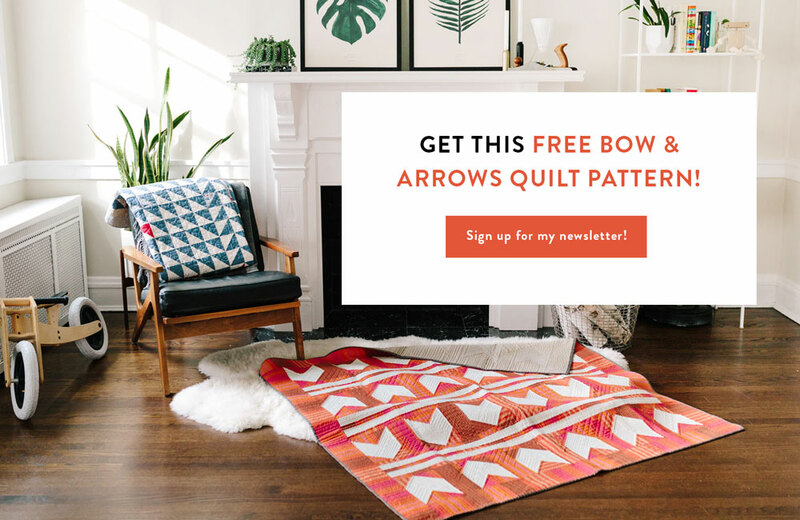 It happened so regularly that I realized by not offering most standard quilt sizes in my patterns, I was doing a lot of you a disservice, and also forcing you to do math, which is just cruel. 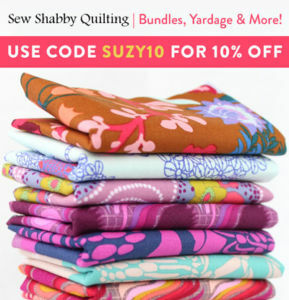 Now if you buy a Suzy Quilts pattern from the last year, it will include most standard quilt sizes so you don’t have to worry about conversions. If you’re try to resize an early SQ pattern, or a different pattern all together, unfortunately you will need to do a bit of math. Hopefully not much, but some. Row Quilt: If you wish to make a row quilt, like Mayan Mosaic, larger or smaller, consider adding or subtracting some of the rows. Also leave off some of the blocks on the sides or add more blocks on the sides. Half Square Triangle Quilt: You can find a half square triangle conversion chart here. Keep the layout of the quilt, just make all of the blocks bigger as needed. 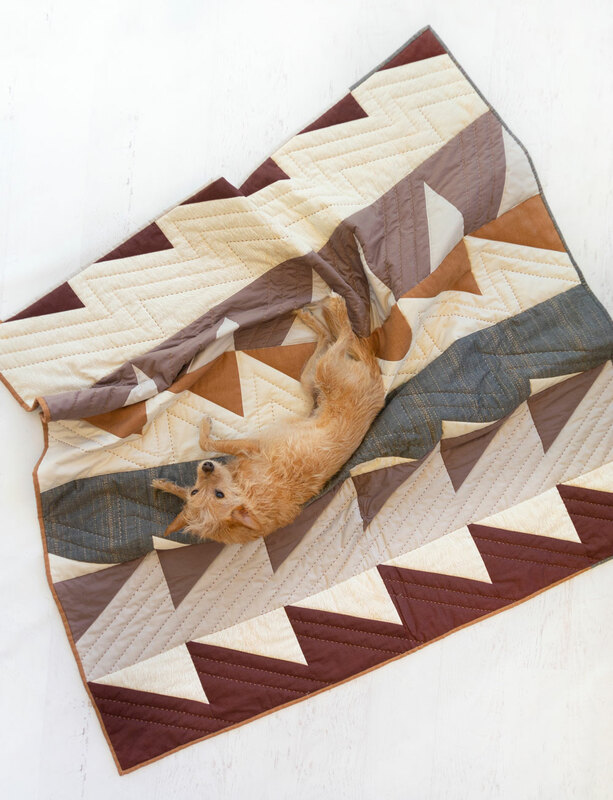 Sawtooth Star Quilt: You can find a sawtooth star conversion chart here. Like with the Half Square Triangle quilt, make them all larger proportionately OR simply make more blocks. 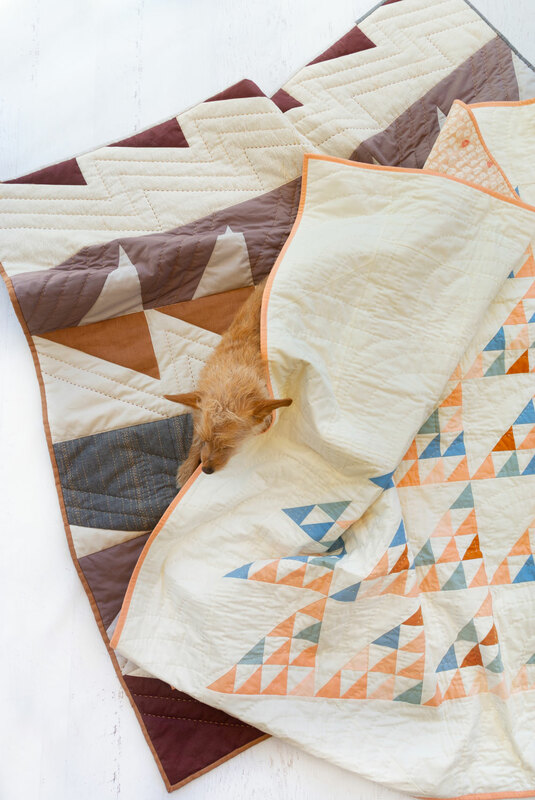 Flying Geese Quilt: Here is a flying geese conversion post, but you can also find a chart in the Sawtooth Star post above as well. 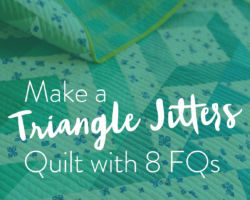 The quilt patterns Triangle Jitters and Nordic Triangles include half square triangle conversion charts so they can easily be sized up or down. Other quilts, like Maypole and Fishing Net would be a bit trickier. Consider adding borders if you would like to make them larger. 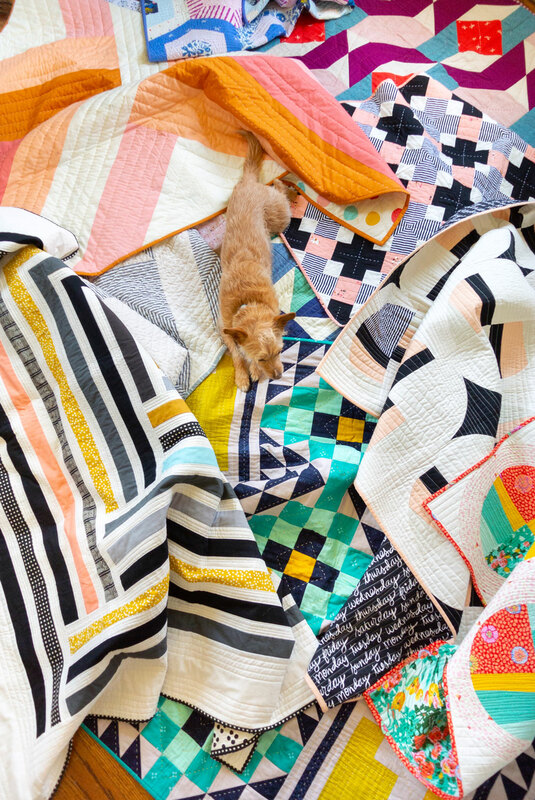 Some quilts, like Indian Summer, have a distinct repeating pattern. To make the quilt larger, just continue the pattern. Graph paper can help too. Q: I’m short on backing fabric! What do I do?? A: No sweat, my pet! Just scrap it! Oh, no, I didn’t mean scrap the quilt. I meant sew a scrappy backing. Lots of quilters actually do this on purpose to make their quilt backs more interesting. 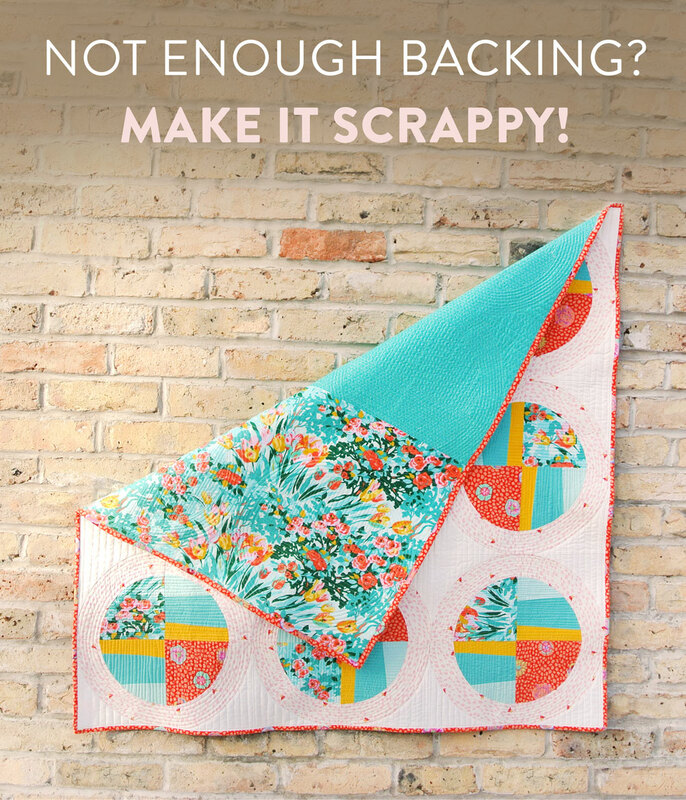 Is there a way for you to add some complimentary quilt blocks to the back? Or maybe just a few more inches can be added with a fun strip of fabric down the middle. 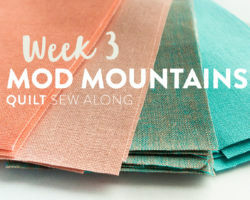 Just remember that when you sew fabric together, you lose some of it in the seam allowance – so if you get really scrappy, account for that lost fabric. Like I always say, I love hearing from you, so if you have a tip you'd like to share or if one of these answers has helped you, let us know in the comments! 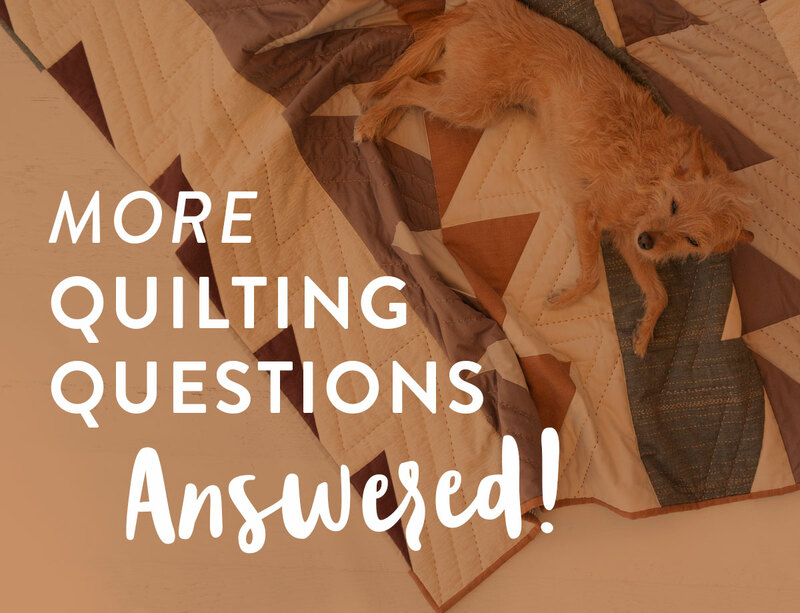 That's a wrap on this installment of beginner quilting questions. Until next time! Whip stitch or Ladder stitch for binding? 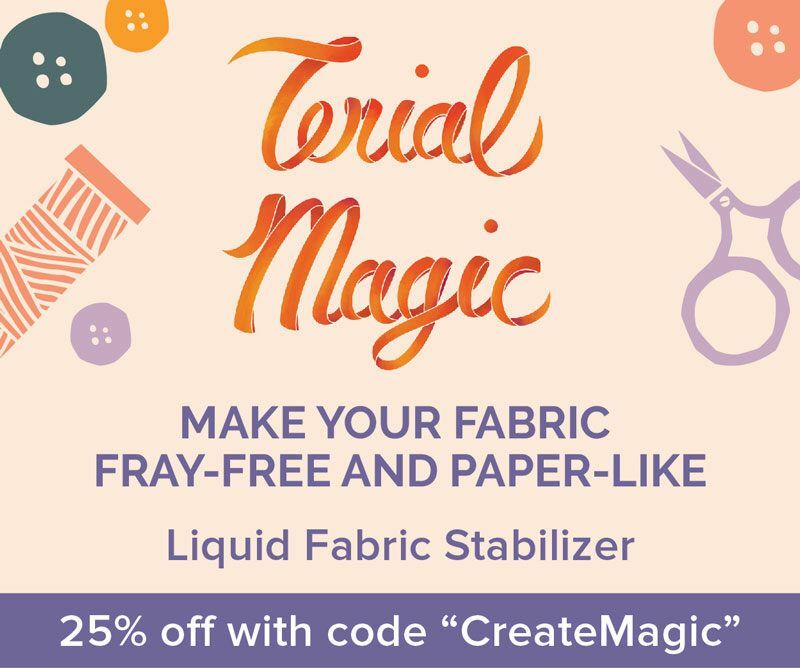 How do I get sewing machine grease and oil out of my quilt? Thank you for these helpful tips! You’re a great resource. 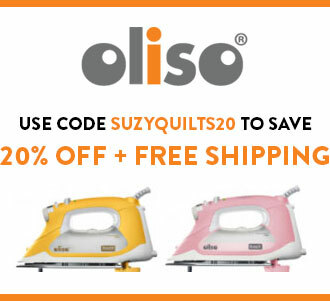 Hey Suzy any tips for quilting a quilt with a highly pieced back. I want to add a few blocks to my backing as you suggested, since I’m short on fabric. But I am worried about quilting through too many seams (if the back is too pieced, its essentially a double sided quilt isn’t it), and I am also worried about lining it up so that the lines on both sides run straight. Once you have at least a couple guides on the top and bottom, smooth out your batting and then your quilt top – using the tape marks as guides so that everything is nicely inline. 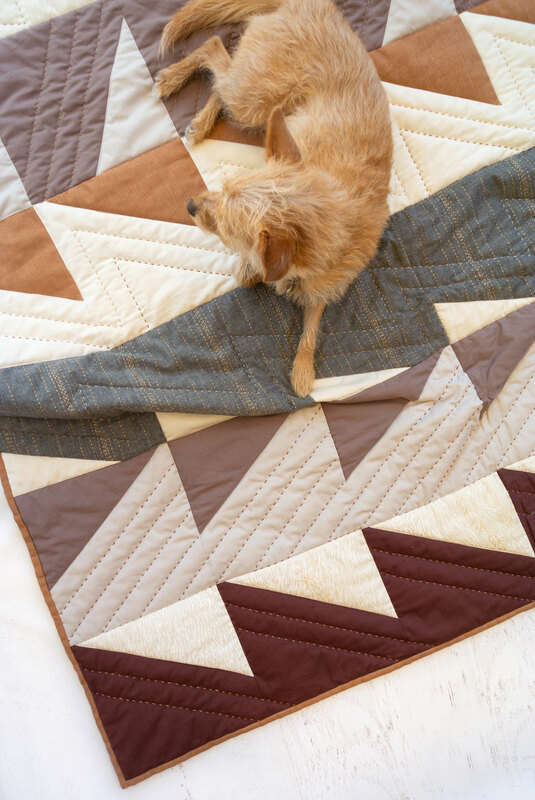 Reading through your questions, the wavy edges can also be prevented by stabilising your quilt first, like stitch in the ditch or some basting stitches. Also, using a walking foot helps to get your quilt layers through your machine at the same rate. Thanks for the tips! Thanks Suzy it’s always a pleasure and fun to read your blog. 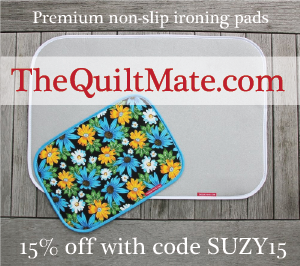 Thanks Suzy it’s always a pleasure, informative and fun to read your blog. Suzy you are always such a help and inspiration! I’ve watched your cutting videos, but I wonder if you could cover how to cut out lots of pieces quickly. I can never seem to figure out how to efficiently cut my fabric. Let’s say I have a half a yard of fabric and I’m trying to cut 5 inch blocks. How would you approach this? I made a really low qual, semi boring video about this years ago if you want to watch. I’m sure after that sales pitch you’re excited. lol! Not low quality or boring at all! I’ve watched it one zillion times! It’s fascinating every time! I guess my inarticulate question is more along the lines of how many folds you do for a yard of fabric. Do you half it, quarter it? Do you cut the yard down? I find myself unsure of what to do first when I have a lot of cutting to do. Ahhhh I see. You fold it in half with the selvages on top of each other. That will give you a yard 21″ high and 36″ wide. I’m going to post a picture of that exact thing in my next blog post coming out later today. I have a problem with shifting seams. I pin the edges together, and pin them a lot, then sew a 1/4 inch, but the bottom seam has shifted to a smaller seam and is especially worse when going over joined seams what would u suggest? Is it my machine? It sounds like your presser foot is putting too much pressure on the fabric, causing the two layers to shift. Does your machine allow you to adjust the height of your foot? You may need to look in your sewing machine manual to see. This is a great website. I am learning so much. Thank you Suzy!